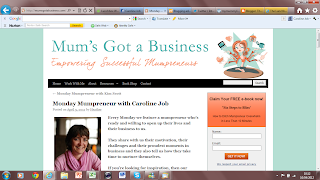 Lunchbox World recently was invited to be interviewed by Heather Bestel on her Monday Mumpreneur feature on the "Mums Got A Business" blog. But of course, there is always something to be done on the Lunchbox World business, which tends to curtail our holiday activities. I try and keep the balance, but at peak times such as Back To School, it is at its most challenging. As you can imagine, Back to School is particularly busy for buying lunch boxes, drinking bottles and the whole back to school kit required for the new school year. We still manage to get away and as long as there's wifi, we're OK. It has also been noted that some blog posts do go live on to the Lunchbox World blog on the beach, or by a lake, courtesy of the FREE wifi connection at the lakeside cafe and thanks to today's technology! 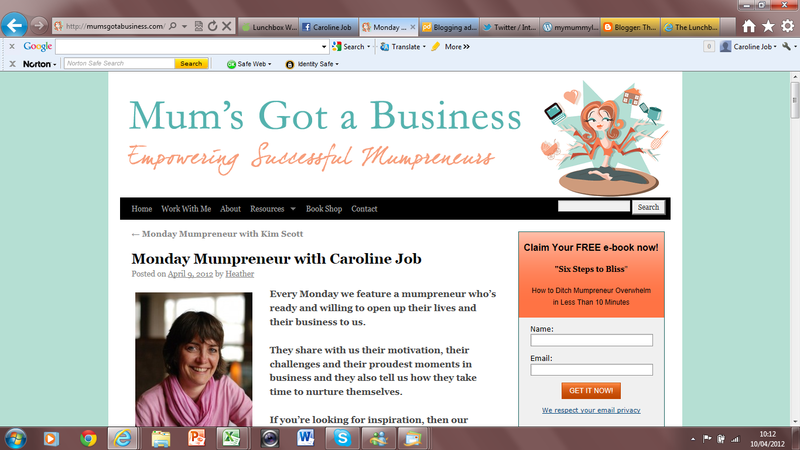 So if you are in the need of some inspiration, do hop over to Mums Got a Business blog and see how some other Mums are making it in business. Meanwhile of course, if you are in need of a rather shiny new lunch box, bottle or bag, or some to-die-for picnic gear for those lazy summer's picnics, that are sure to come, do browse our shop. As I'm a curious type, though, what inspires you?